We have been growing fine farm fresh sustainable produce since 1994. Calvert Farm has a Summer, Fall and Winter CSA. 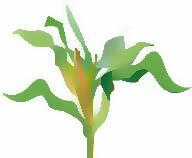 Now is the time to sign up for our Summer CSA. The fee for the 20 week program of farm fresh produce is $500. This includes a $50 non-refundable reservation fee. Reservations due by February 28th. Your reservation and non-refundable payment is due in full by March 30th. The fee for reservations and payments received after March 31 is $550. In the Summer we offer 20 weeks of farm fresh produce - a CSA. We offer you a box of fresh vegetables at many locations in MD, PA & DE locations beginning the week of mid May through the last full week of September. Be assured of the freshest produce for your home. You may order more than one box of produce. Download our Summer application . Visit our location page for a list of pick up dates and places - you will need that info to complete the application before you mail it in to us. View Pam Stegall Roberts on CBSBaltimore. In the Fall we offer an 8 week program, starting when the summer one ends (first full week of October till Monday before Thanksgiving). Fall produce will probably include Broccoli, Cauliflower, Salad Mix, Cabbage, Spinach, Sweet Potatoes and other great veggies. Download our Fall application . Visit our location page for a list of pick up dates and places - you will need that info to complete the application before you mail it in to us. Cost: $250 includes delivery/reservation/packaging. Reservations and payment are due in full by August 31st. In the Winter we offer eight deliveries over a 16 week period, every other week beginning the first or second week of January and going until mid April. Growing conditions in the winter are a bit more challenging so early sign up is required. There is a limited number of pick up sights (see bottom of application for locations) and delivery days are determined by the total number of subscribers. We like to have a full truck to save on fuel. On farm pick up is available (Rising Sun, MD). Download our Winter application . The fee is $250 with a non-refundable deposit of $50 due by November 15th. A non-refundable final payment if due by December 7th. To offer the nicest variety and also lessen the risk of crop failure we work with several other small family farms. The following is a sample of some of the vegetables that are grown on these farms. These small farms grow using sustainable / natural methods, but not all are certified organic. Not all of the produce is available in each season. 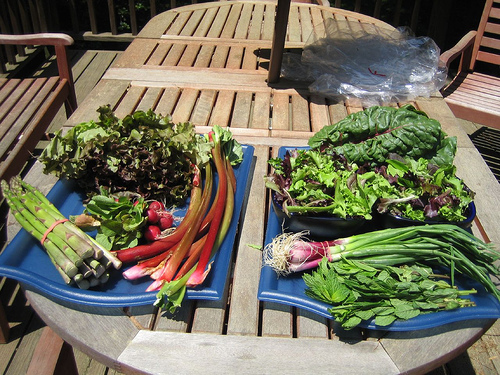 Here are some photos that one of our CSA subscribers took for the 2007 CSA year. Each week after pickup she would take a photo of what was included in her box. So if you are curious about what you can expect take a look at the photos that CSA member Christie Hicks took. Just so you know - the eggs shown in the photos are not part of the regular fruit and veggie CSA, they are an add-on. You would note it on your order and they are priced separately. Calvert Farm continues the tradition of working with other small family farms to bring the best variety and freshness to your table. We welcome your questions. We encourage to you to visit the farm.